France Soccer Fans Celebrate World Cup VictoryFrance fans did justice to their team’s 4-2 victory over Croatia in the World Cup final on Sunday, pouring into Paris’ Champs-Elysees Avenue by the tens of thousands to celebrate with cheers, stomping and song. 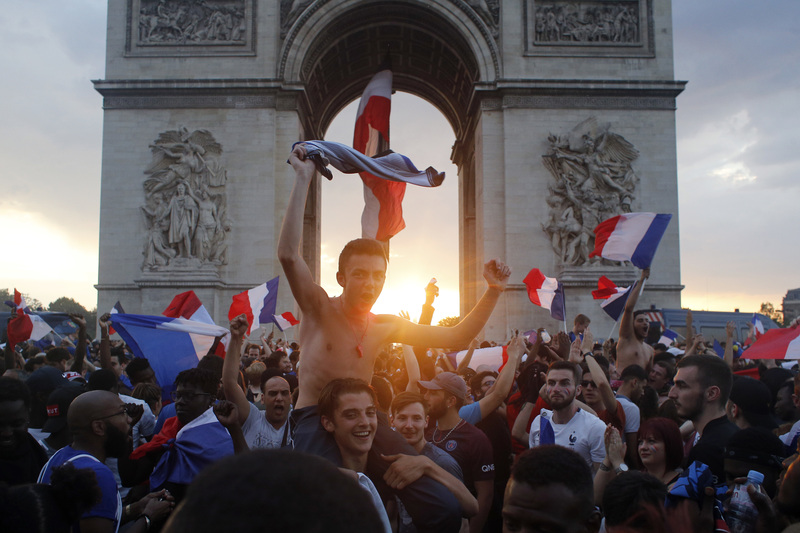 PARIS – It was a victory for all of France and the home crowd did it justice, pouring into Paris’ Champs-Elysees Avenue by the tens of thousands to celebrate in an explosion of joy. Typically, celebrations in France end up with some broken shop windows and other destruction, and Sunday was no exception.